If you were seriously injured in a Miami slip and fall accident, you probably need to hire a Miami slip and fall attorney. But the question becomes how do you find the best slip and fall lawyer in Miami for your case? The decision is yours but how do you make the right decision? The Miami slip and fall lawyers at the Wolfson Law Firm have helped slip and fall injury victims since 1963. Our personal injury lawyers in Miami aggressively represent the interests of the client and their families in slip and fall injury cases in Miami and throughout Florida. You can call us anytime at (305) 285-1115 for a free and confidential consultation. Ignore the commercials and billboards. Just because an attorney advertises does not automatically mean they are great lawyers or bad lawyers. It just means they have invested in advertising and marketing. If you want to make sure you are hiring the best Miami slip and fall attorney, then you should investigate further. Pick Miami personal injury lawyers that have expertise with your type of case. No one wants to be the first patient a new surgeon operates on. Likewise, you probably don’t want to be the first slip and fall injury case a lawyer ever handles. So research the lawyer and the law firm. 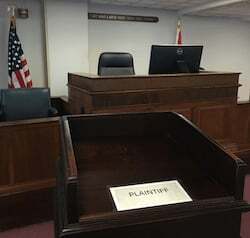 Ask questions until you are satisfied with your choice of the best Miami slip and fall lawyer. Look for a track record of results. Most personal injury law firms in Miami list their results or recent cases. If you don’t see the results then you should ask. You might also recommend that the law firm should list their recent results to help other people in the future. Does the Miami personal injury law firm have the financial resources necessary to finance the presentation of your slip and fall injury case? Most, if not all, personal injury lawyers pay the costs of your case and get reimbursed at the end of the case. You will want to make sure that the lawyer and his or her law firm can pay the costs. A lawyer’s financial limitations should never be your problem. Check if the attorney has had any disciplinary actions filed against them. The easiest way to do this is to look up the lawyer on the Florida Bar. If the lawyer has any disciplinary history, you will find it there. What percentage of the lawyer or law firm’s practice is devoted to personal injury and wrongful death cases? This could be important information when you are looking for the best personal injury lawyer in Miami to represent you and your family after a slip and fall accident. How many jury trials has the lawyer or the law firm tried? When was the last one? Many lawyers go through their entire careers without ever having tried a case. Other go years without a jury trial. Insurance companies know which personal injury lawyers will go to trial. If it is important to you that your slip and fall lawyer in Miami will see your case through from beginning to end, then you should inquire about the attorney’s trial experience. 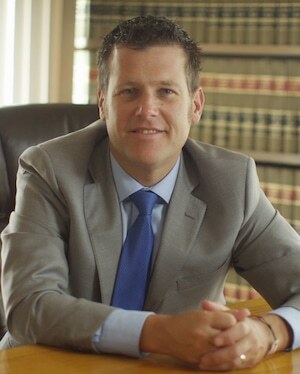 Our Managing Attorney Jonah Wolfson is a bilingual slip and fall injury accident lawyer in Miami. Our dedicated personal injury team is also bilingual and ready to help you and your family. Just call us for your free consultation at (305) 285-1115. We provide legal services for slip and fall injury accidents in Miami, Coral Gables, Homestead, Ives Dairy, Miami Lakes, Hialeah, Edgewater, Miami Shores, Medley, Princeton and all throughout South Florida.